There’s a sense in which I can see where the atheist is coming from, at least from their own worldview. I think if studying highly influential literature throughout history, like ancient Greek literature or American literature, is considered a legitimate academic pursuit, then I don’t see why studying the Bible, probably the most influential book in the world, isn’t legitimate. Perhaps they mean when people study theology as if they’re actually learning about God and saying something meaningful about Him. Since they don’t think God exists, we’re not learning about anyone real or saying anything meaningful about Him. I’d like to see what others say. Ha! Kyle said “a sense in which.” That’s a Gregism! Obviously he’s influencing me too much! You could ask, “Can you tell me who Jesus is and what he has to do with me without making any theological statements?” I got that idea from Paul Scott Pruett. But that may not work in this conversation since the subject is natural theology and the problem of evil. I would just point out that your theology will determine how you respond to Dawkins’ criticisms of God’s behavior. Understanding God’s role in creation also informs our worship, since worship involves praise. Theology could also help non-Christians, like Dawkins, to make better informed arguments against Christianity. If he’s beating up strawmen, he’s not going to convince anybody but those who themselves are uneducated in theology. Its appears that the charge that it is not a topic worthy of study is founded in the idea that “it has no basis in science”. If this is the argument, then all areas of study must find their value in whether they are based in science or not. Many areas of study must also be equally not worthy of study: mythology, art, music, philosophy; just to name a few. This is an implication that may be difficult to accept for the person making this claim, however, it follows logically. Also, if science is the basis of worthwhile study, and science is based in philosophy, then science itself is not worthy of study. It is a self-defeating requirement. My response would be that if the universe was formed by the big bang it would need a big banger. Following that I would say that if there’s a big banger there must be a big banger, and because this “Banger” must exist outside of the natural world to create it, He cannot be defined by natural science because He is supernatural. You can’t weigh a chicken with a ruler. Even made up things can surprisingly be found to be a subject, and God or even the concept of God is certainly more than just a made up thing. Just simply concept of God could be a study and subject itself, not to mention the legitimate arguments of existence in His support. The atheist gets off far too easily without explaining on what basis he can say theology is not even worthy of being a subject, and whatever basis they provide I should only expect to be poor at best. What limitless amounts of arrogance they do have. Everyone stole all my ideas! Just kidding, but seriously these are some great responses so far. I will just add a few things that stood out to me from this challenge. The first thing to note is that Livesey is making two basic philosophical assumptions: 1.) Naturalism and 2.) Scientism. In keeping with the tradition of new atheists like Dawkins, these two views tend to go hand in hand. I would say, tactically, to rock out the Columbo questions on Livesey. Keep the burden of proof on him to argue for his worldview assumptions, because without these in place, his assertions against theology are simply false. Sure, if God doesn’t exist and science is the only source of knowledge, then theology would seem to be a meaningless waste of time. But it’s those two issues that need to be debated. Second, what even follows from this? Let’s say that we grant that theology is a “created topic of study.” It’s interesting that he says theology is “not really an expertise in itself, but its a created topic of study,” as if those two things are mutually exclusive. In principle, couldn’t theology be a made up discipline, but a person could still be an expert in that discipline? It’s sort of like Trekkies (sp?). They are experts in all things about Star Trek. It may not be based on reality, but it’s still an area where there is knowledge to be gained. I know nothing about Star Trek, so the Trekky could rightfully be said to have more knowledge about the inner-workings of the Star Trek galaxy and therefore be much more of an expert than me. Couldn’t the same be said about theology in regards to Dawkins? Maybe that is a poor analogy, but the point is that theology could still be an area of expertise that Dawkins is quite terrible at, regardless of whether it is reality-directed or not. Kyle and Luke made some great points about other disciplines, literature in particular, that would go out the window as illegitimate if we accepted Livesey’s criteria. I would also add the other humanities, cultural anthropology, formal logic, economics, mathematics, and history. None of these are really based in science, but they are still legit subjects. The main point here is that his scientism is not only self-defeating, but far too restrictive as an epistemology. 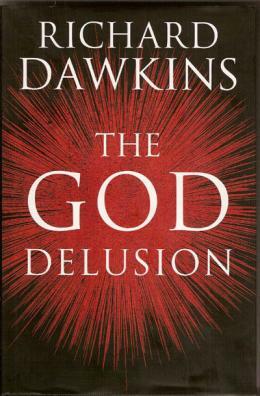 One last point, just to echo a little of what Thomas said: it’s interesting that Dawkins’ physics or astronomy lecturer directed him to a chaplain for information about why there was a big bang. The implication is that he had reached the limits of what science can tell us. The philosophical inference is that there is a cause outside of the universe that is immaterial, timeless, spaceless, and very powerful. This is a good place to start. Perhaps the Bible and Jesus Christ have revealed to us more about this first cause and theology isn’t such a worthless pursuit after all; quite the contrary, it is actually the most significant.